Retirement offers a lot of exciting opportunities for greyhounds such as becoming service or therapy dogs, lure coursing, nose work, and agility to name a few. There can be many reasons why the decision to retire a racing greyhound is made. The greyhound may be slowing down, may be prone to an injury, may have lost interest, may not be performing at their peak. 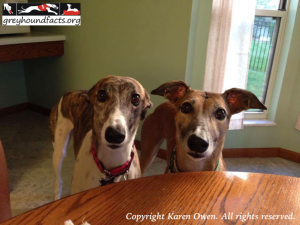 Whatever the reason, there is a network of adoption groups ready to find the retired racer their adoptive home. 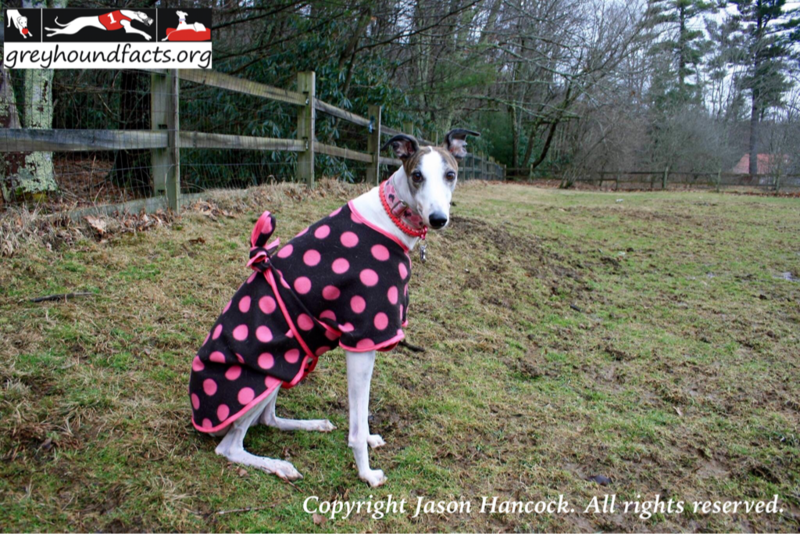 FACT: Greyhound adoption was started by the industry. 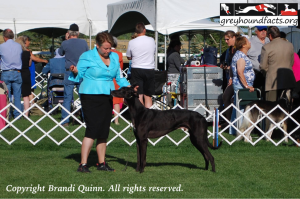 In the United States, the National Greyhound Association recognizes and endorses adoption groups that are responsible and professional in following guidelines and best practices towards the sport and the dogs. 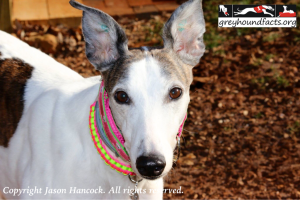 This list of credible and responsible adoption groups can be found at the National Greyhound Association Responsible Adoption Groups listing. 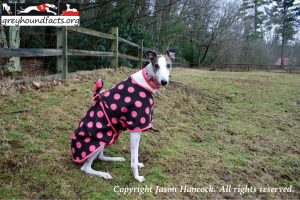 Greyhounds retire from the farms and training farms when they show no interest in chasing a lure, have an injury, or are not able to run at current track speeds safely. They are then available for adoption through an adoption group or privately by an owner. Greyhounds retire from the tracks for the same reasons they do on the farms. They may also retire at an owner’s request or when their running style makes conditions unsafe for themselves or other dogs on the track. They are then available for adoption through an adoption group or privately by an owner. Puppies, and puppies from unplanned litters, are also available for adoption through an adoption group or privately by an owner. Puppies are very popular and often have long waiting lists to adopt. their owners or on a farm, where they may be bred for future litters. 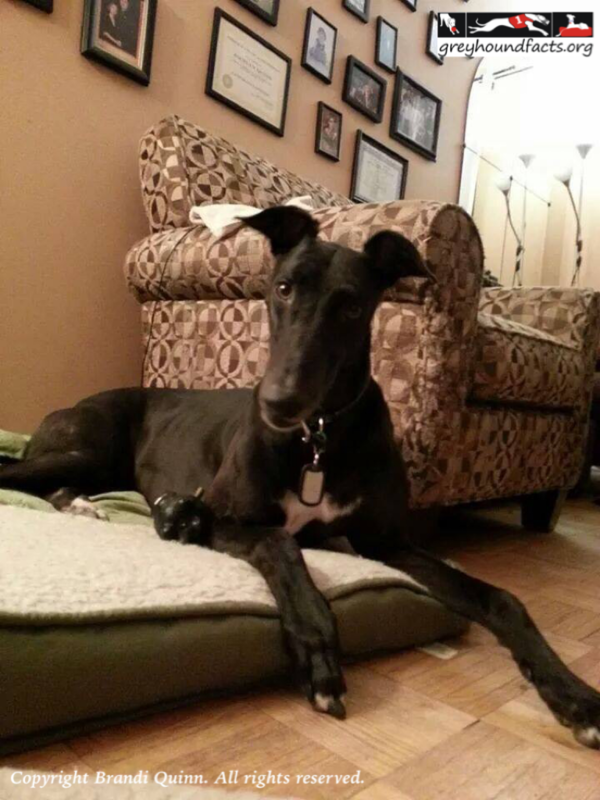 I was looking to buy a greyhound puppy to raise for lure coursing and had contacted a few racing breeders to see what pups they had available. Bob Crossland heard I was looking and let me know he had a few pups available. I asked him to send me information on the male pups he had. 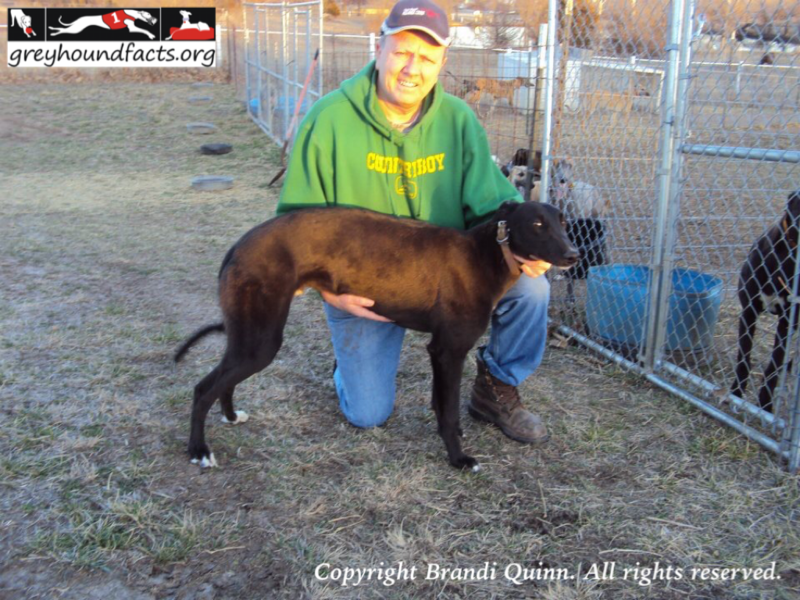 As soon as I saw the photo of the fat black seven month old greyhound pup, I knew I had to see his breeding lines. I checked Greyhound Data and saw that he was from an Irish sire that I really liked and knew that was the dog for me. Gator pictured on the farm and at home with permission from Brandi Quinn. I spent a few weeks trying to get him on a hauler going north to get him home, but had no luck. I had spoken with Bob a few times and we decided to send him to a finishing farm for race training when he was old enough. 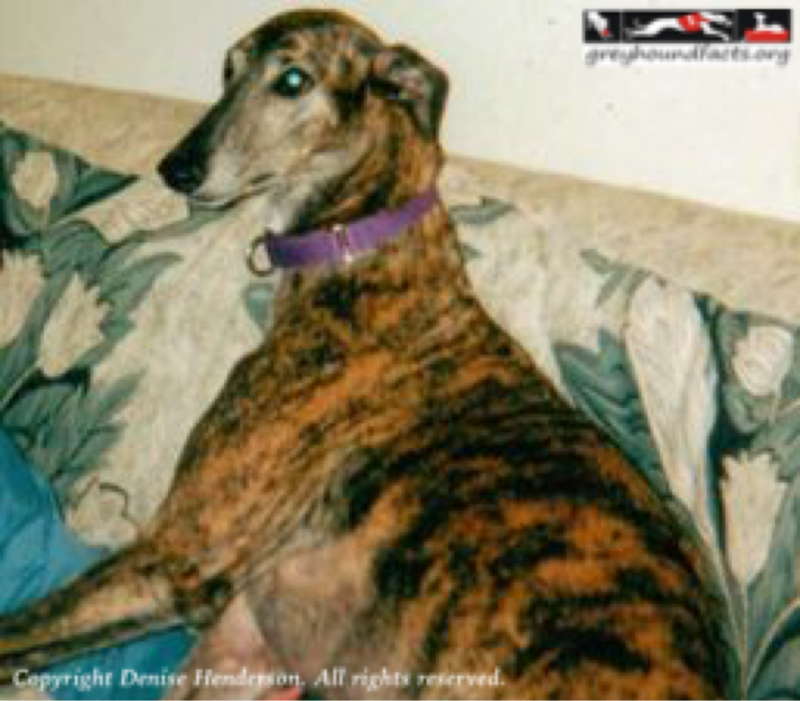 He was a racing greyhound why deny him that experience and fun,? It also gave me time to find a way to get him to Canada. Gator was finished/trained in Clearwater, Kansas and then made his way to Jacksonville, Florida to start his racing career. He was a good racer and ran 25 official races. Two were preliminary stakes races and he held his own against some very tough competition. He sustained a minor injury on the track and had to take some time off to rehab. I took this as a sign that he was ready to come home, so I headed down to Florida to pick him up. 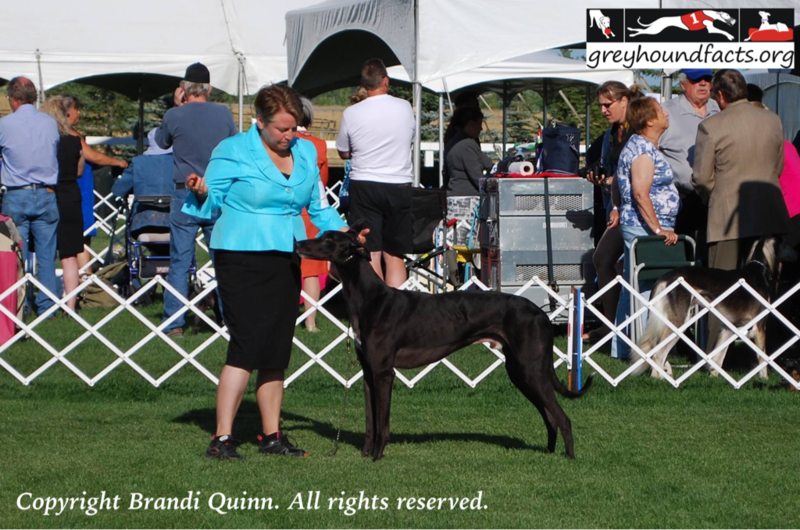 Gator pictured in the show ring with permission from Brandi Quinn. Since coming home in October 2013 he has settled in like he has been here his whole life. We have other greyhounds who are great lure coursing dogs and we know how much Gator enjoys running, so we thought we’d try him out and see how he did. He had already been rehabbed and was back in tip top shape, so he attended his first field trial in May 2014. He has done very well. 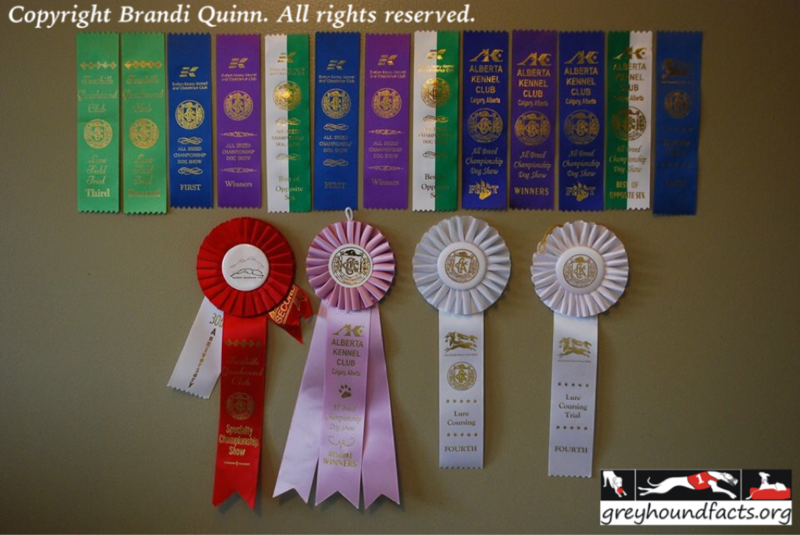 Gator’s ribbons pictured with permission from Brandi Quinn. I also decided to try him at conformation (breed show) because he has many attributes that I feel would impress the judges. 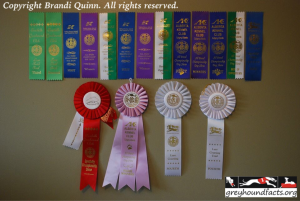 So far he has done well and earned some pretty ribbons in the process. He has just started all of this and we have high hopes for many great accomplishments in the future. I would like to tell you all Ranger’s story. 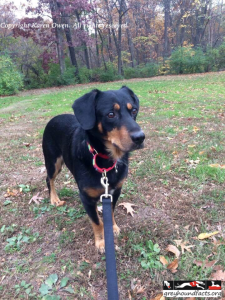 About two months ago (September 2014) Ranger was part of a terrible hoarding situation. He was a very sick feral dog with Lyme disease and Ehrlichia, he was heart worm positive, and 25 minutes from the euthanasia deadline. He was absolutely terrified! Ranger pictured with permission from Karen Owen. For two weeks, we had to carry him crate and all out to the backyard and turn it upside down to get him to come out and go potty. But, the greyhounds Callie and Lilly with their patient, quiet presence just sat with him outside of his crate for many, many days. They seemed to fully understand Ranger’s fear and the fact that he did not feel well in the midst of all his medical treatment. Callie and Lilly pictured with permission from Karen Owen. In short, they showed him the ropes; showed him how to be part of a family. He is a foster fail, largely thanks to the greys who were the best thing ever for a terrified, feral dog from a rural area of Missouri. Callie, Lilly, and Sandy, the poodle, all love their Ranger boy! 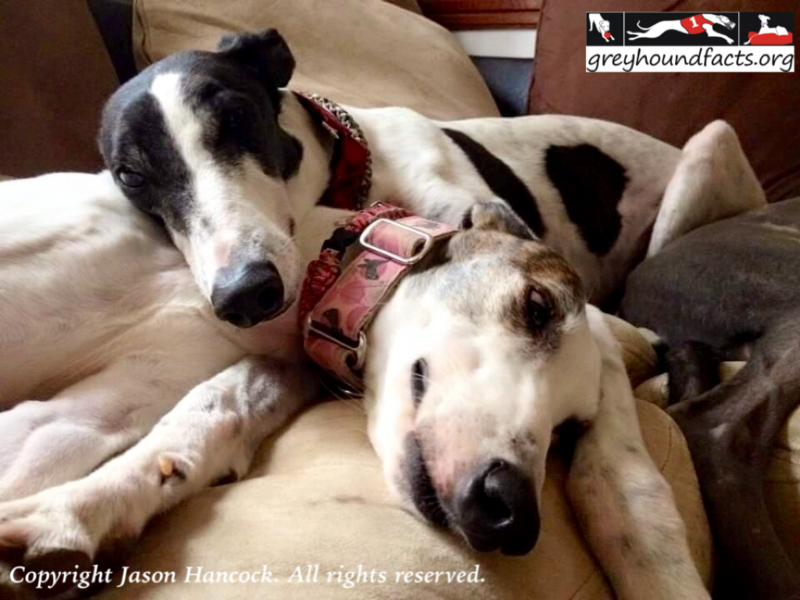 We continue to be amazed at the amount of care and love our greys have for us, for each other, and other animals that are in need. Dewclaw injuries tend to be the type of injury you can treat at home. It’s important to keep the area clean, prevent the dog from licking it, and just generally leave it alone as much as possible. It’s better not to wrap it in any way as often the wrap will irritate it and end up doing more harm than good. While the injury is healing you should limit the dog to walks, no running. If there is swelling with any type of claw or digit injury, some trainers suggest taking the nail off at its base. This reduces the pressure and swelling which in turn will accelerate the healing. Other people suggest cutting the nail off just below the break to prevent further injury. You’ll want see your vet if there is infection, persistent bleeding,,,, and swelling. Removing dewclaws is controversial in general. They are removed in many breeds, not just racing greyhounds. Some people remove them because they consider the dewclaw to be a useless appendage that just gets in the way. Others keep them because they feel that dewclaws are important, even necessary. One reason for this is that dogs use the dewclaws to hold and grip things. Another reason is that they feel that the dewclaws help to reduce the torque on the leg when the dogs are running and turning which will help to prevent injuries. Breeders have different opinions on whether or not you should remove the dewclaws. The vast majority of racing greyhounds have their dewclaws. But, if the breeder feels they should be removed, it is done shortly after birth (at 2-5 days). This is why you may adopt one retired racer who has dewclaws and another who doesn’t. Shortly after losing my big ole Toby boy to cancer, I located a small female who had a little story. In September 2011 while racing at Flagler, she broke her right hock. She was pulled from the racing kennel and sent to the prison program in Hialeah, FL. The prisoners noted on her sheet that her back leg had something wrong with it and that she was shy. She was removed from the prison program and a corrective surgery was completed on her hock. After rehab in Florida she went to a home in South Carolina where she became comfortable, she was not cat safe. The adopters also had an issue with her being shy and her having little interaction with them. Rita pictured with permission from Jason Hancock. On May 20th 2012, I picked Rita up at the Virginia/North Carolina state line. She was scared and would not come out of the van. After sitting with her for a few minutes I was able to get her to come out. She had a concerned look in her eye and was very unsure of her surroundings. Even though I had seen several shy hounds in the kennel, I’d never had close contact with a shy hound away from the kennel setting or in my own home. It took a few weeks of living with Rita to get her to open up a little bit. She wasn’t afraid of me, or anyone else for that matter, she was very reserved and chose her friends wisely. This behavior got me thinking about how and why they act this way. I contacted Rita’s racing owner/breeder and her trainer. Her breeder told me that she was one of four in the litter and that she was shy from day one. He said that sometimes it is the way they are treated by their siblings and other times it is simply genetics. As her breeder explained it to me; just as people are different each greyhound he has raised in 30 years has been different. Rita’s trainer at Victoryland told me that when she arrived there she was shy and reserved. He said that she was not what he would consider a spook and that you could handle Rita. He actually started laughing and told me that he had been a trainer for about 10 years and Rita was the first dog he ever had that was carried off the track because she would roll over on her back at the escape after the race was over. If she did not roll over on her back, he said that when the other dogs were trying to get to the lure, Rita would run off the track to the pickup area and right to him. In Rita’s two years with me and my family she has made a huge turnaround. 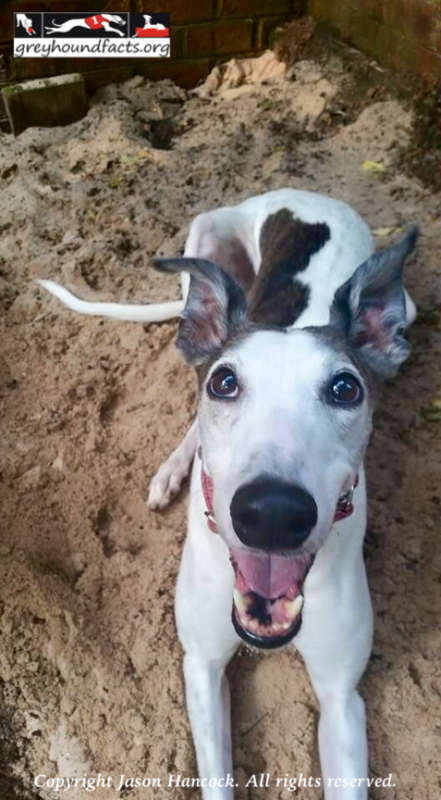 Rita is still reserved and takes her time getting to know people but she has become much more confident. This year we attended Mountain Hounds, a local group’s event in Gatlinburg, TN. 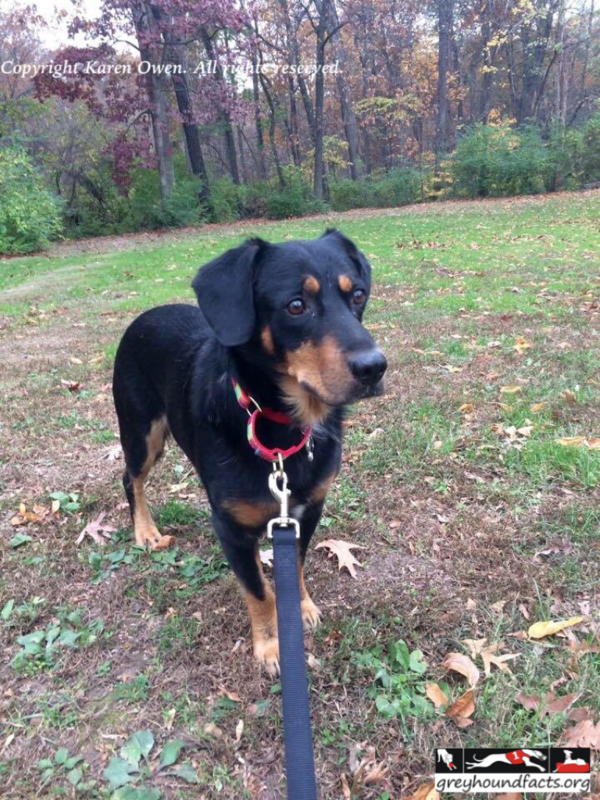 Rita was a totally different dog than she was two years ago. People who knew Rita commented on how different and more confident she was now. I took her on a walk through downtown Gatlinburg on Friday night and 1,000’s of people were in the streets. Rita was great and made me proud! At one point while we were eating ice cream, she laid down on the sidewalk, watched as the people passed, and the occasional visitor petted her head. Rita and Chucky pictured with permission from Jason Hancock. After reading numerous articles and seeing the negative propaganda about the alleged “abuse” that causes them to be shy, I decided to write this. At no time in Rita’s life has she EVER been abused or mistreated. I know her breeder. 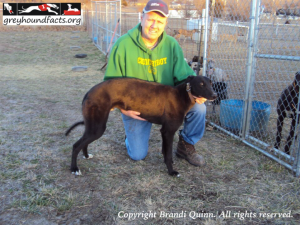 He is a very reputable breeder in the National Greyhound Association and has been for years. As a matter of fact, the other three dogs in her litter are the opposite of Rita including Chucky, who lives with us. Before believing everything you read, please do your homework. If you have a shy dog I encourage you to contact the breeder. I would be willing to bet that your shy dog was shy from a very young age, as most are. I also suggest that you encourage your shy dog to do and try new things. Rita would not be who she is today if I had not pushed her to do things she didn’t want to. If your hound is a true spook and afraid of everything, please use your common sense and do what is best for your hound. CJK Highway was born at our home along with his littermates. They lived in our house and spent their days running in the fields, chasing ducks, and swimming in the pond. The time finally came for them to go off to the training farm in Oklahoma. When they were ready for racing, we contacted a friend of ours named Steve Schultz, who had a kennel in Colorado. He agreed to take our dogs, so they began their racing careers. They were doing well and we knew they were being well cared for. Highway pictured with permission from Denise Henderson. We decided to open a kennel in Wisconsin and went to Colorado to pick up our dogs. Steve told us how much he loved Highway. I knew they had a strong bond by the way Highway stayed right by his side. I would later learn just how strong that bond was. Highway raced for us for the next two years winning grade A 3/8ths races and becoming a fan favorite. He was the “King of the Kennel” and was spoiled rotten by us all. He pranced around the kennel demanding your attention all day long. Steve called one day to say that he would be stopping by for a visit. Highway was racing that day so Steve met us in the parking lot at weigh-in. Highway came bouncing out of the truck as usual. When he saw Steve, he froze for a split second then about tore my arm off trying to get to him. He jumped up on him, giving him the biggest, sloppiest greyhound hug ever! He was bouncing, jumping, and wiggling all at the same time. I stood there thinking, “Wait a minute, you’re my dog. I raised you, spoiled you, and treat you like royalty. You’re supposed to love me like that!” But watching them I realized that no matter how well you treat your dog, they always have that special trainer in their lives whom they long to be with. For Highway, that special trainer was Steve. Highway lived with us after retirement, but when he got that faraway look in his eyes, we knew he was thinking of Steve and the time he spent in his kennel. Thank you Steve and all the other trainers who care for our dogs like they were their own.